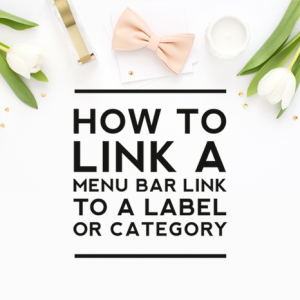 Adding pages (aka: a navigation bar or menu bar) is a great way to organize your blog to make important information easily accessible to your readers. Designer Blogs offers several types of navigation bars: a navigation bar with simple text links, a navigation bar with custom buttons, and a navigation bar with drop-down menu (click on links for examples). These navigation bars are customized to give your blog a unique & professional look and can be purchased through our accessories shop. 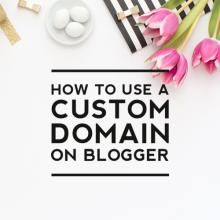 However, you may just want a basic, non-customized Blogger menu bar, so today we are sharing a tutorial that explains how to get pages and a basic navigation bar added to your Blogger blog all on your own! Step 1: Log in to the Blogger blog you are wanting to add pages to and click on the “Pages” link. Step 2: Click the “New Page” button. Step 3: Type the page title (this will appear as a link on the navigation bar), add the page content and then click “Publish.” Note: make sure the page is published or it will not show on your navigation bar. Step 4: After your pages are published, you need to add the Pages gadget to your layout to make the categories appear on your blog. Go back to “Layout” and click on “Add a Gadget” in the space underneath the header. Note: If you want your navigation bar placed on your sidebar, click on “Add a Gadget” in the sidebar space. Step 5: Choose “Pages” from the list of gadget options. Now view your blog to see your new pages and navigation bar! If you’d like to adjust the positioning of the links, follow the below steps. You will see a preview of how the design will look with the changes. If you adjust the “20” to a larger number it will add more space. If you want less space adjust the “20” to a smaller number. Adjust it as you want and then click “Apply to Blog” to save the changes. You’ll see a preview of the changes. If you are happy with the way it looks, click “Apply to Blog” to save the changes. For any further customizations you might need made to your navigation bar, you can visit our add-on shop to purchase one of our navigation bar options. Please feel free to leave a comment or contact us at [email protected] with any questions you may have. Thank you so much for this tip, Lauren! I had no idea I could do that! I might be playing around with this new "find". Thanks again! The page function is a great option! I've been enjoying it for some time now. But I would love to know how to create your own background and install it. Soooo very much. Thank you so much. This is wonderful. I went and worked on all of my blogs so now it will be easier for people to find the info they are looking for. Is it possible to transfer existing post to new pages I have created. The only way I can think of to transfer an existing post to a new page would be to just copy/paste the info from your post to your page. You can also link back to the Labels. I am having issues posting on pages from your premade designs. Any suggestions? I love your tutorials! I'm a newbie and I'm wondering is there a way to put post dividers INSIDE the pages? I know the main page does it automatically but the pages it seems as one very long post…can I change that? You would need to manually insert the post divider code into the html of each page. Could you please do an updated version of this tutorial? The edit pages link in step 2 just isn’t there in blogger any more. Hi Susannah, an update has been posted. Hi Gin, unfortunately that would not be possible with Blogger unless you simply linked the recipe navigation link to your recipe labels link. That would then show a long blog like list of all of the posts you’ve added the recipes label to when the recipe link is clicked on. Hope this helps! We will be posting a tutorial about how to do this tomorrow on our blog, so check back tomorrow for the instructions. This is exactly what i was looking for. Thoroughly and accurately explained each step. Thank you very much. I just found that there’s a problem for adding the page. Last time, I can do so (just like what you teach). But today, the add page “web address” was no more. And, after I add a page in “blank page“, there’s nothing appear in my blog. Blogger recently changed the process for adding pages. We have updated the tutorial to reflect the changes and it should work great for you now. unable to do step no 2. in my blog while doing step 2 drop box is not appearing. blog is directly directed to a blank page option. It appears Blogger just changed things again. We will post a solution as soon as we can find one. I can’t for the life of me figure out how to get the page I just added to appear on the navigation bar. It’s supposed to do so automatically, but nope. Is there something wrong with me? From the recent comments it seems like something might be screwy with blogger. 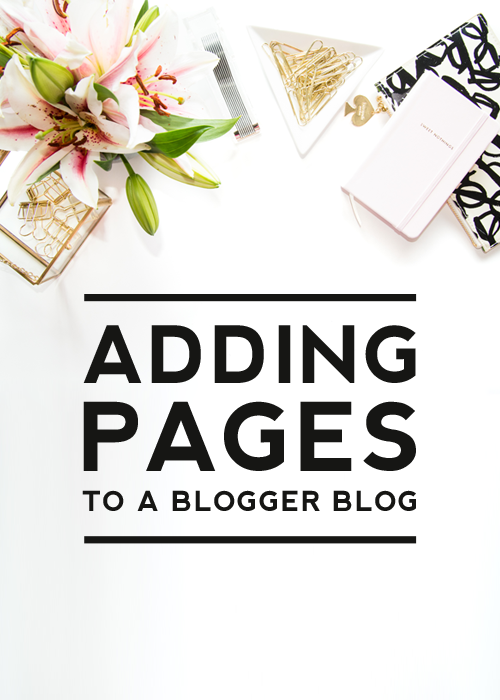 Miles – Blogger recently changed the process for adding pages. The tutorial is now updated. thank you so much, it has been very helpfull! …but for make a bar with custom buttons, how could i do that? (sorry if my english is not perfect)! You would need to order a navigation bar with custom buttons from a blog designer. We offer this option through our blog accessories shop for $40. Select the “NAVIGATION BAR W/CUSTOM BUTTONS = $40” option. Thanks for the update! Is there code for CSS for changing the font and font size? Thanks! To change the font, you would need to use the instructions for adding Google Fonts: https://www.google.com/fonts. Thanks for the update. My problem is I know how to link the pages to the pages in my template but I don’t know how to hide the pages once its linked. Blogger use to give you the option to hide them once linked to the template. Do you by any chance know how to do this. I don’t want to use the blogger navigation, I want to link it to my template then hide the blogger buttons. You can go to Layout and then just delete the pages gadget and then the menu bar will no longer show but the pages will still exist. That is what I was looking for from a long time. I have found some same tips on other blog but they were not sufficient to learn how to add the pages to blog. But in this blog everything is perfectly described. I am just crazy for this blog and love you a lot. Very easy to follow instructions … and very useful indeed, this is what I was looking for as I did not understand the Page concept in Blogger. Thank you so much. i will publish this feature as soon as I am ready with the information. Once again a big Thanks! Yes we can do something like that for you. Visit our blog accessories shop and purchase the “navigation bar w/custom buttons = $40” option. Hope this helps! Hi , I have tried following these steps but it doesn’t seem to be working…Some pages are not being posted and when I have managed to, when I click on it the content does not change? This is good tutorial. I followed this tutorial. I have created label for some post of my site http://www.abhilashatechnology.com and then trying to create web address page. But for me it is blank page is getting created. As here it shown you can create either blank page or web address page. Your answer is appreciated. Thanks for a helpful and dynamic blog.My question is about amount. I have seen both 10 and 20 given as the maximum pages allowable. Which is correct? Is there a limit to the length of a page. Is it literally a “page” or can it be a lengthy piece of writing? If so, how long? 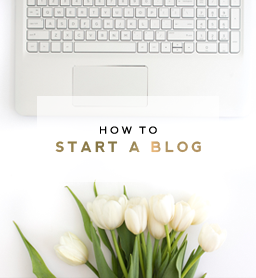 You can create 20 static pages on Blogger blogs. I don’t believe there is a limit to the content length of each page. Hope this helps! Thanks so much for this tutorial! While I have pages on my blogger, unfortunately, only SIX can fit across horizontally at the top of my site without the seventh page becoming a second “line” or layer underneath (and “centered” too). As a result, this looks unslightly, so I’ve had to put a few different – important – pages in DRAFT and only keep the absolutely necessary ones published. I’m guessing I just need to try to make more space along the width of my site/template in order to allow for all the pages to show up in one row, but I’m not sure how to do this. Also, I’m wondering if this might be more difficult because while I did try to follow this tutorial and go to advanced template to mess with the CSS code, I had purchased a pre-made blog, so there was already a CSS code in there + I was afraid to change it. You would have to add the articles manually onto each page. Thank you so much for this easy to follow tutorial! This is such an easy tutorial to follow, just what I needed! I was wondering if you could also tell me how to get rid of the lines around the page names. I would like a more clean appearance. Thank you so much for your help. This was a great tutorial, it really helped allot! I have one further question. 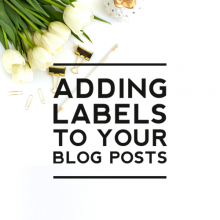 How do you link your labels to the pages on the top of the blog? Say I wanted a DIY page, I want to click on that page at the top and be able to see all of my DIY posts in the same place. Some advice would be greatly appreciated! Awesome tutorial…. thanks to sharing with us. Thanks for sharing these steps to add a page in blog. Currently i am working on http://resumeon.blogspot.com and i will try these steps. Thank you very much for sharing a very nice tips. I strongly believe this tips will help many young blogger. Many many thanx! i have done it now. I had to wait more then a year for this but now i made it with the tips of this tutorial. thank you again. Hi Jay, adding sub-pages has to be done manually, meaning it has to be hard-coded into the design. You can purchase this option through our blog accessories shop. Select the “NAVIGATION MENU W/DROP-DOWN CATEGORIES (BLOGGER) = $75” option and a designer will be in touch to get those coded in your site for you. Hope this helps! This post is really helpful, I am currently working on my blog http://peacefulmindbody.blogspot.com This post will help me to create pages easily. I want to add pages to my blog but I don’t want the pages to have the same gadgets as the home page of my blog. Is that possible? This is possible but only if you are on WordPress. Hope this helps! Thanks a lot for the useful information. Is there any way to fix the tab bar so that when scrolling down the page, tabs would always stay at the top of the page? This is something you’d need to purchase from our blog accessories shop. Select the AVIGATION MENU W/SIMPLE TEXT LINKS = $25 option and note that you are wanting the menu bar to remain static. Hope this helps! Yaa! Smart, easy and clean delivery! thanks. thanks for such a detailed guide. its hard to find guides other than wordpress. Welcome to the wonderful world of blogging Esme! We hope our site helps you learn the ropes! 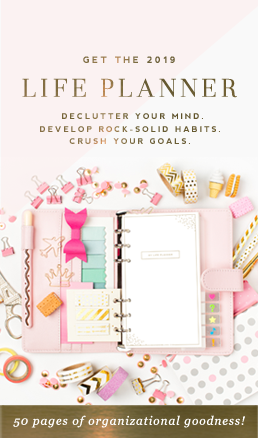 I just recently purchased blog templates and I’m trying to re-organise my blog. easy to follow step by step approach=)you won’t get lost! You may need to first add the pages gadget to the top of your sidebar and then drag that gadget up under the header gadget and a new gadget area will appear. Hope this helps! Thanks for the detailed steps for adding pages to your blog. I am beginner here and it really helps me a lot in adding pages to my blog. II purchased a blog template that already has a list of items on the nav bar,and want to post on those specific items (about page etc…) Would I still have to add a gadget and a page? Basically my template already has “about” and other items on my nav. bar. I don’t want to add an “about” page and have there be two about pages. Does this make sense? Thank you for your help. Great site! Your existing menu bar will carry over to any new designs that you purchase from us. You can create only the pages you want to use. Hope this helps! Congrats on Elder Kanar’s mission call and best of luck to him! I’m not seeing duplicate page titles when viewing your blog. Were you able to fix the issue? You are probably tired of answering questions about this considering you published this years ago! I have created my page and I successfully added the page in the cross-column section in the Layout section. The page appears on my blog, however, when I click on it, it does not go anywhere. I also cannot figure out what the link is to the new page. Any suggestions would be helpful! Hi Phillip, we’re happy to try to help you. To find out the link to your new page, go in your dashboard to Pages. Find the page you are wanting the link for and click View under that page. That will open up just that page. You can then copy the url from the address bar and that will give you the direct link for that page. Then go back to Layout and click Edit on your Pages gadget. Click “+Add external link” and that will allow you link your page up manually. Paste the url where it asks for the web address and then add the title you want for the link. Click Save Link and that will manually add the page to your site for you. Then you can just go and remove the page from the menu bar that isn’t working for you. Let us know if you have further questions. My blog is a customised theme that I coded, but I can’t seem to make Pages work. Sorry, the page you were looking for in the blog Layout does not exist. So I was wondering if you have a solution for this? Hi Anna! Thanks for your question! Make sure you’ve hit the “publish” button on the pages you’ve created. They won’t be recognized by your blog until they are actually published. If that doesn’t solve the issue, let me know! you make blogging glance easy. The total glance of your site is excellent, let alone the content! I have a question doing a post, Will i have to add a new pages or just use and existing page? Thanks for sharing your useful information. Very Nice .. I love this blog and use it all instruction into my blogs which I made today .. This is very helpful especially for beginners like me. Thanks for sharing such a valuable information. It may be something related to your design. Have you tried changing it to default one?